Open Enrollment 2019 will start on November 1, and the health insurance marketplaces will remain open until December 15. The Trump administration shortened the Open Enrollment Period (OEP) from 90 days to 45 days for the first time last year, and it appears as if that change will carry over for the foreseeable future. 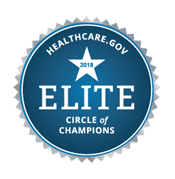 While the Open Enrollment Period for 2019 won’t begin until the end of the year, the Centers for Medicare and Medicaid Services (CMS) just released their “Final Rule” for the upcoming OEP. President Trump made it clear that one of his primary goals while in office was to fix America’s broken healthcare system. After many failed attempts to repeal and replace the Affordable Care Act (Obamacare), it appears that these new CMS rules will attempt to fix the current system rather than dismantle the marketplace. Here are the key changes you should expect for Open Enrollment 2019. Under the new CMS rules, Open Enrollment will be bring some changes to Essential Health Benefits, but the new regulations likely won’t take effect until 2020. Under the Affordable Care Act, there were 10 Essential Health Benefits that all marketplace plans needed to cover in order to be considered qualified coverage and meet federal and state regulations. The new rule will give states more flexibility. Rather than selecting from the 10 Essential Health Benefits, states will be able build their own Essential Health Benefits for benchmark plans. States will be able to choose from the 50 Essential Health Benefit benchmark plans that were used in other states in 2017. With fewer regulations on benefits, the new rule will give health insurance companies more flexibility. With more flexibility, the Trump administration is hoping insurers will get creative with their policies, bringing more competition and options to the marketplace for consumers.